No one wants rashes, blemishes, or zits on their skin, especially in adulthood. However, you may be experiencing some of the most common skin disorders as you age. From psoriasis to skin cancer, it is important to know what to look for, and why. Did you know that skin is the largest body organ you have? That’s right. No wonder why it is so sensitive at times. Both psychological and physical issues can trigger the most common skin disorders. Not all skin conditions are harmless, such as acne for example. Some can be down right embarrassing, like psoriasis. And some common skin disorders can be deadly like skin cancer. Let’s take a deeper look at the most common skin disorders outlined by dermatologists. You probably had a bought with acne in your teenage years. The red dotted embarrassing zit of your youth may also come back to haunt you in adulthood. A hormone imbalance, stress, and pregnancy can make this so. Acne is probably the most common skin disorder of them all. It occurs when oil glands are cut off from skin pores. Acne can also appear anywhere on your body, but most common on your face, neck, back, shoulders, and chest. Did you know that 80 percent of Americans have acne at some point in their lives? Yep. And 60 percent will experience it in adulthood. So if you are experiencing adulthood acne, know that you are certainly not alone. Eczema is the next most common skin disorder, and the term kind of gets thrown around a lot. 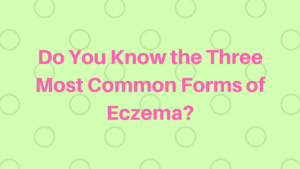 There are actually different forms of eczema. Here are the three most common. Atopic Dermatitis. This is the most common form of eczema, and you may have even heard of it. Three percent of adults get this long-term skin disorder, and 10 to 20 percent of children do as well. Signs and symptoms of atopic dermatitis are itchy rashes found in the crux of knees and elbows. Allergic Contact Dermatitis. This form of eczema often appears in adulthood. It is caused by environmental factors, like the makeup you use, your perfume, or the types of metals that your jewelry is made of. Nummular Dermatitis. This form of eczema causes a lot of discomfort. 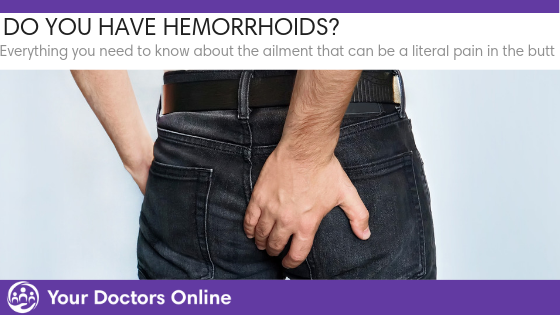 It can be very itchy and normally is associated with flaky patches on the skin about the size of a coin. Any form of eczema can be battled with moisturizing the skin often. You can also talk to a doctor about corticoid steroid use to help as well. Skin Cancer is Common and Can Be Deadly? What is the most common type of cancer in the United States? Skin cancer! That’s right, skin cancer is both common and deadly. In fact, one in five Americans will develop skin cancer, according to the American Academy of Dermatology. The two most common skin disorders for cancer are Basal cell carcinoma and squamous cell carcinoma. However, the most deadly is melanoma, accounting for 75 percent of skin cancer deaths, and the third most common type. Genetics and sun exposure play a big role in skin cancer. 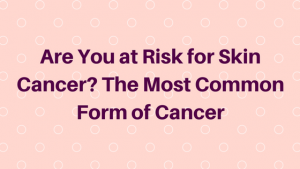 Sunscreen, and knowing more about your family history of cancer is important to determine if that mole is normal, or some far more deadly. 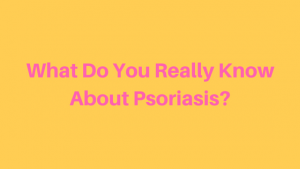 People who experience psoriasis often become self-conscious about their skin disorder. To find out treatment options for psoriasis, it is essential to talk to a dermatologist. The following are just four of the most common skin disorders you should be on the look out for, even in adulthood. Some can be easily treated, and some will need more attention from doctors and skin specialists, like dermatologists. There are also skin care tips that may help. If you are experiencing a skin disorder, or think you may have skin cancer, it is important you get the answers you need and deserve. Our free Dr. Chat is available 24/7, so you can ask your medical questions anytime to our panel of doctors. Simply click the button below to get started.